Like human body, vehicles need fuels to serve their purpose. But with Petron High Temperature Protection (HTP) line – such as Automatic Transmission Fluid (ATF) Premium HTP, Brake Fluid HTP DOT 4, and Grease HTP Lithium Complex – it will not only make vehicle runa. 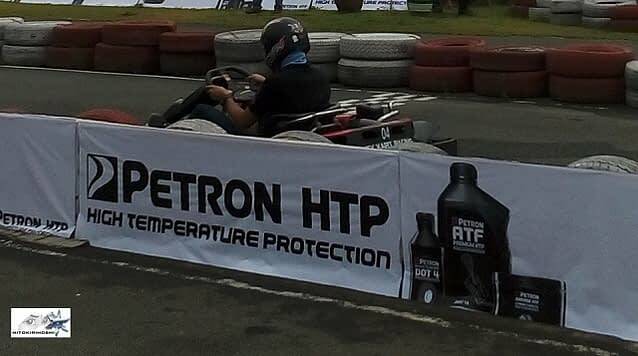 Petron HTP also also boosts your big toy’s endurance, safety, and potential. Bilang commuter for so many years, I am well aware of various road problems including heavy traffic, engine overheating, and vehicular accidents. By the way, I am living somewhere in Commonwealth Avenue or what they called “The Killer Highway.” Kaya sa maniwala ka’t sa hindi ilang katawang nakabulagta with guhit na ang nakita ko plus banggaan. Those were probably because of irresponsible driving and defective engines with low quality fuel diet and maintenance. Thus, it’s interesting for me to learn HTP line of products that I think helpful for active drivers (+ commuters) with high performance vehicles. 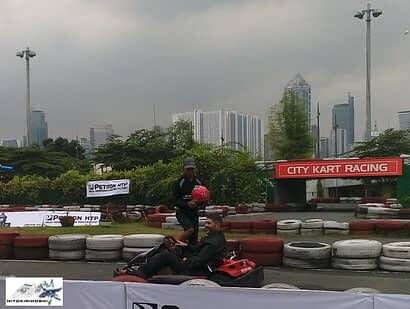 In the product launch on February 2 at City Kart Racing in Circuit Makati, I was also reminded that companies like Petron also offers high caliber supplements for cars. Hindi iyong malagyan lang ng pang-andar na langis. Expect more innovative products from Petron. 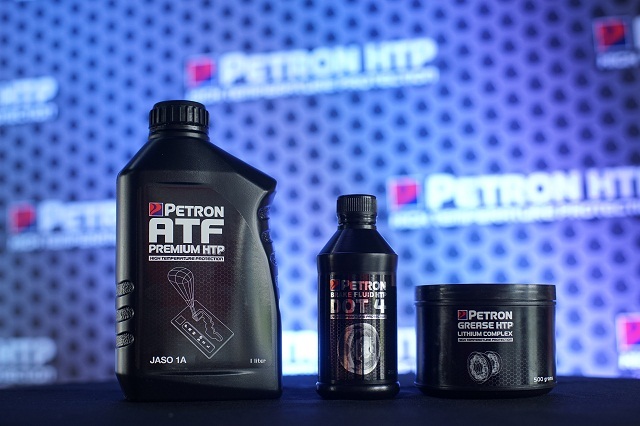 After introducing the details about Automatic Transmission Fluid (ATF) Premium HTP, Brake Fluid HTP DOT 4, and Grease HTP Lithium Complex – Petron AVP, for Greases and Lubes, Billy Centeno divulged that in the latter part of the year, they’ll launch other products and complete High Temperature Protection (HTP) line. 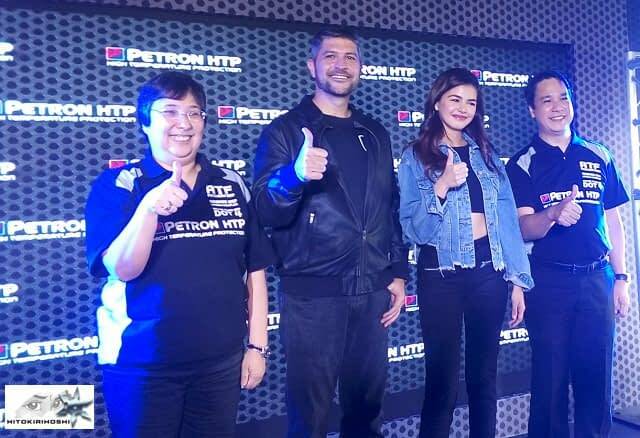 James Deakin attested Petron’s HTP line – In addition to Centeno’s explanation, the car expert James Deakin also graced the event to share about the advantages of using fluids and other supplementary products to lengthen vehicle’s high performance ( I will publish a video/ blog post about his tips soon). I agree that with right maintenance, the high performing or not vehicles become safer and less expensive to use. Of course, maintenance includes checking transmission, brake, and other stuff. Meantime, Deakin’s explanations were chewable and interesting as he clearly pointed out the good effects of proper diet and nursing for vehicles. I don’t know about in-depth car protection (baka car wash, brake fluid, water supply at vulcanizing lang ata alam ko) lalo na ‘pag ginamitan na ng malalim na terms pero na-gets ko tsika n’ya ha. The not so ordinary Janine Gutierrez. 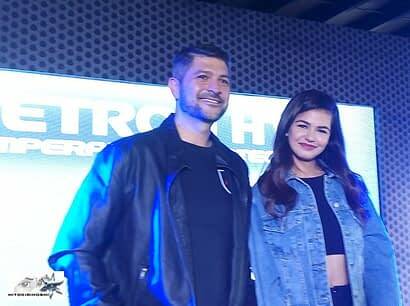 I am impressed with Kapuso star Janine Gutierrez (bukod sa pareho kami ng ganda-chuz lang), she’s really an epitome of good endorser kasi may ALAM s’ya sa klase ng produkto ng in-endorse n’ya. She shared that her dad ( car enthusiast and actor Christopher Guttierez) is her mentor-influencer when it comes to car. I agree with Mr. Deakin’s compliment kay Janine that she’s ideal girl for car lovers too. Dagdag ko rin sa plus points ni Janine ay ang pagtapos n’ya ng kanyan college degree (European Studies) sa Ateneo de Manila before entering showbiz. 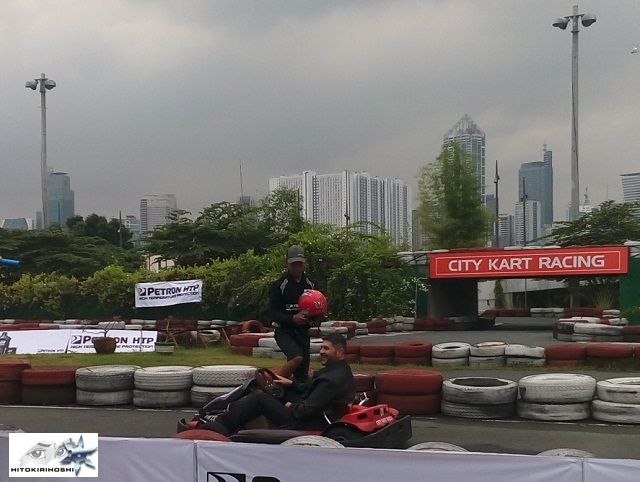 The Kart Racing exhibition – Did you attend to a party that not only offers you delicious food, but also let you experience an extra-ordinary fun-filled activity. That’s what I believe one the cool stuff in the media launch. 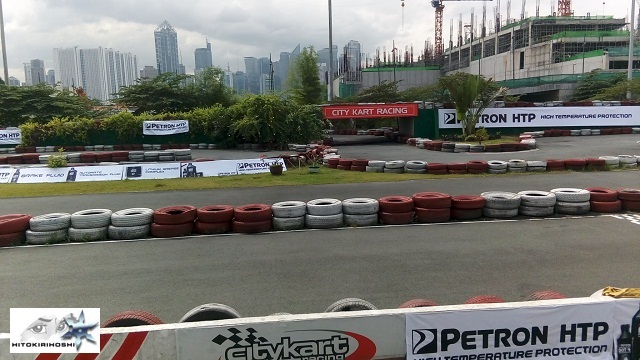 Participants had to chance to experience kart racing sa Circuit Makati. It’s a win-win idea since attendees got to know what Petron HTP products behind cute exciting wheels. Innovative – On the business side, good thing that Petron is not complacent in providing quality service and products. Beneficial– Who doesn’t like to maximize their investments especially in their high performing cars? From what I understand any of Automatic Transmission Fluid (ATF) Premium HTP, Brake Fluid HTP DOT 4, or Grease HTP Lithium Complex makes cars slick and durable. In effect, users (both the drivers and passengers) would experience safe and convenient trips. Deakin even emphasized that this line doesn’t only fit high performing cars alone, but also those thatt endure day to day traffic. Teka ilan na nga ba ang nakita kong tumirik, umusok, at nag-apoy?